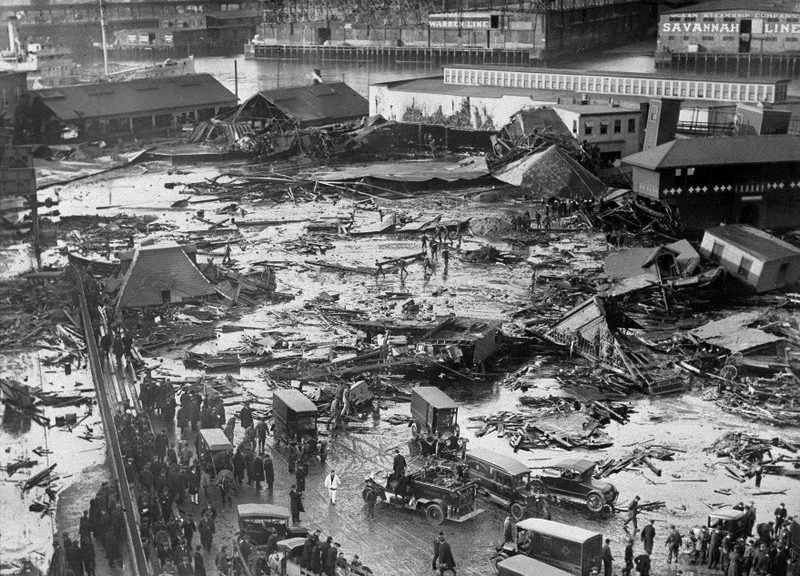 Boston’s Great Molasses Flood was one of the city’s deadliest and most bizarre disasters. A tank containing 2.3 million gallons of molasses buckled, sending a tidal wave of the sticky stuff rampaging through a bustling North End neighborhood exactly 100 years ago Tuesday. Entire buildings were flattened, killing 21 people and injuring 150 others.